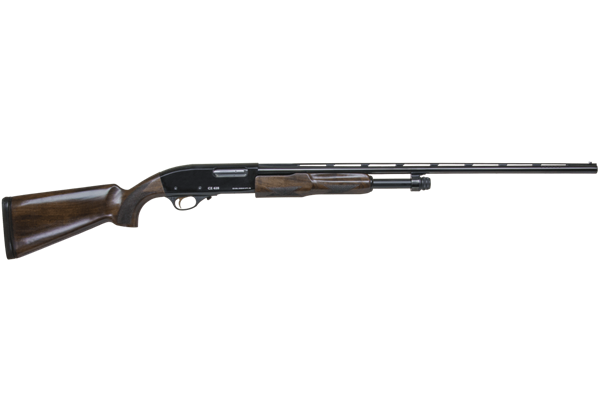 For those who want a light, classy pump gun to carry in the field, we put together the perfect shotgun. Built on a gauge-specific 7075 aluminum action, this 20 gauge pump has a deep glossy blue finish and select grade Turkish Walnut. A set of interchangeable chokes lets you tune constriction and the full forend and pistol grip help make this lithe shotgun feel good in the hands. With a 28″ barrel, it clocks in at well under 6 lbs., lightening the load for those full days chasing birds.